Fall is on its way to the Roanoke Valley in Virginia’s Blue Ridge and it’s one of the most exciting times of the year for a visit! With beautiful weather, the arrival of fall colors, and all kinds of fun events on the calendar, you’ll have a great time with an autumn getaway to the Blue Ridge Mountains. September is packed full of concerts, festivals, games, and other special events to keep you entertained. Here are 50 events to add to your calendar for the month. Cheer on the Red Sox in the team’s final series of the regular season! It also might be your final chance to catch a few of these players in action before they eventually make their way to the Major League. Enjoy an evening of live music by Holy Ghost Tent Revival at the 5 Points Music Sanctuary in Downtown Roanoke. The band offers a unique sound with its horn-driven roots that also incorporate rock & roll, blues, and folk elements. It’s the return of the annual Big Lick Kid Fest, presented by Big Lick Entertainment. Take the entire family to Elmwood Park for plenty of kid-friendly fun, including games, karaoke, a rock wall, bounce house, and other activities. It’s definitely considered a Sunday Fun-day when it involves the Sunday Drag Brunch at The Park! Tickets are only $14.95 for a brunch buffet, live entertainment, and plenty of colorful character. Whether you’re an experienced rider or you’re getting started with the cyclocross scene, the SeptemberCross series is the perfect opportunity to connect with other cyclists and get familiar with the Fallon Park Cyclocross Course. It’s a 3-week series that features fun, fast-paced rides. It only took a few minutes for the Harvester Performance Center to sell out when tickets went on sale to see the legendary Willie Nelson in concert in Virginia’s Blue Ridge! Nelson is one of the most popular musicians in the world and has received numerous honors and lifetime achievement awards. This free show at the Moss Arts Center at Virginia Tech is open to the public and no tickets are required. The event is part of the “SALAAM: Exploring Muslim Cultures” project and will feature live music, as well as hands-on art. There are two opportunities to take part in the Party at the Pavilion at Daleville Town Center this month! The Band of Oz performs on September 7 and The WORX performs on September 21. Bring your lawn chair or stay on your feet and dance the night away. Belt out the chorus to “Don’t Stop Believin’” with fellow Journey lovers at this #FlashbackFriday concert at Dr Pepper Park at The Bridges. Trial by Fire is a North Carolina-based Journey tribute band that will deliver all the iconic band’s hit songs. Step back into the 90’s for an incredible night of music at the Salem Civic Center. The I Love the 90’s - The Party Continues Tour features many of your favorite bands during that span, such as TLC, Naughty by Nature, Biz Markle, Tone Loc, and SNAP. This month’s Flat Pickin’ Fridays concert at Daleville Town Center features the music of Rutledge with special guest True Cadence. Admission is only $5 and admission is free for children 12 and under. 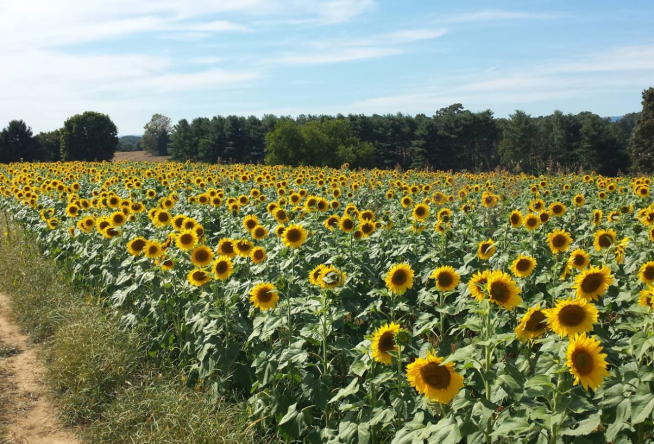 You’ll be blown away at the scene at Beaver Dam Farm in Botetourt County and the 20 acres of sunflowers. There will be children’s activities, vendors, and the opportunity to leave with your own fresh-picked flower. You’ll also want to take lots of photos of the gorgeous, flower-covered fields. Olde Salem Days has grown to become one of Virginia’s premier art & craft shows, with over 400 artists and vendors set up for a special day in Downtown Salem. There’s also an antique car show with over 150 vehicles, live music, and a Kid’s Fair. Conquer the beauty of Botetourt County in Virginia’s Blue Ridge by taking on the Buchanan Tri! The race consists of a 2-mile run, 13 mile bike ride, and 5-mile paddle on the James River. Once you’ve worked up an appetite at the Buchanan Tri, get ready to chow down on some delicious BBQ at Pork by the James - a new barbecue competition. Chefs will set up on the bank of the James River and compete to earn the title of making the Best BBQ. The event will also have a beer garden and live music. If you’re a college football fan, seeing a game at Lane Stadium should definitely be on your bucket list! The Hokies have one of the best entrances in sports as the team takes the field to Metallica’s “Enter Sandman” and it’s a scene that will give you chills. This month’s home schedule includes games against Delaware (9/9), Old Dominion (9/23), and Clemson (9/30). It’s a Blue Ridge Day of hiking, food, and exploring at Roanoke County’s Explore Park! Attendees will have the opportunity to hike the trails, listen to live bluegrass music, enjoy a cookout or farm-to-table dinner (VIP option), and check out many of the unique features and trails of the park. Get ready for four days of fun at the Franklin County Agricultural Fair! The schedule includes family-friendly rides, games, exhibits, livestock shows, farm demonstrations, live music, and food. Country music artist Hayes Carll is best known for his song “Chances Are,” which was nominated for the Best Country Song in the 2016 Grammy Awards. He’ll take the stage at the Harvester Performance Center with Matt Powell, a fellow Texas-based country musician. The American Shakespeare Center Touring Company presents a production of “The Taming of the Shrew” at Hollins University. Get lost in the world of Shakespeare as you follow the story of Kate and Petruchio’s attempts to woo her. Third Eye Blind performs for the final concert in the 2017 Budweiser Summer Series in Elmwood Park! The American rock band had multiple hit songs in the 1990s, such as "Semi Charmed Life," "How’s It Going to Be," and "Never Let You Go." One of the most popular annual festivals in Virginia’s Blue Ridge returns for its 12th year! The Roanoke Greek Festival celebrates the region’s Greek population and rich heritage with authentic food, live music, and vendors with authentic Greek products. Great music, food, and outdoor recreation are on tap for the WA Fest Music & Adventure Festival at Wilderness Adventure at Eagle Landing. The three-day festival is family-friendly with a variety of options for outdoor adventures and lots of great bands, headlined by Crowded Streets - a Dave Matthews tribute band. Jefferson Center hosts one of the leading jazz guitarists in the world on September 15 as Grammy winner Bill Frisell performs with Petra Haden, Hank Roberts and Luke Bergman. The group, “Harmony,” is Frisell’s latest ensemble. Get muddy for a great cause at the 22nd annual Marine Mud Run in Green Hill Park. The 5k race leads you through obstacles and mud-pits, but you’ll be extra motivated if you participate with a team. The event is a fundraiser for the Roanoke Toys for Tots Foundation and Camp Roanoke. 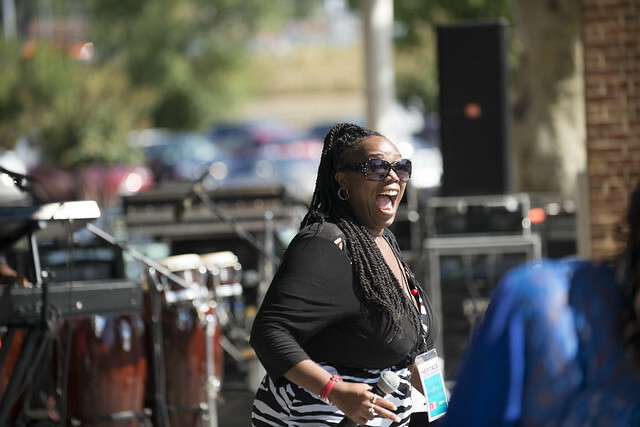 Organized and hosted by the Harrison Museum of African American Culture, the Henry Street Heritage Festival is celebrating its 28th year in Roanoke. The event is a wonderful community event that celebrates African American heritage through music, cuisine, customs, art, and merchandise. Learn about what life was like on a slave-holding tobacco plantation during the early fall harvest in the mid 19th century at this event at the Booker T. Washington National Monument. It’s free admission and you can also tour the grounds, living quarters, and gardens where Booker T. Washington spent his early childhood as an enslaved person. Feast on apples, apple pie, apple butter and other apple-inspired treats at the Boones Mill Apple Festival! The festival will feature over 50 vendors and is an annual tradition in Virginia’s Blue Ridge that helps signify the arrival of fall. What better place to celebrate International Red Panda Day than at the Mill Mountain Zoo?! Get a few photos of Nova, the adorable red panda who lives at the zoo, and then check out the other cool animals who call the zoo home as part of the organization’s conservation efforts. The zoo will also be celebrating the work of author E.B. White on September 16th with multiple activities. Don McLean is responsible for one of the most iconic songs of the past century with his worldwide hit, “American Pie.” McLean is a member of the Songwriters’ Hall of Fame and has produced over 40 gold and platinum records during his illustrious career. Starr Hill is expanding to become part of the craft beer scene in Virginia’s Blue Ridge! On September 16, the Charlottesville-based brewery will hold the grand opening of its Pilot Brewery & Side Stage in The Bridges complex in Roanoke, where it’s expected to regularly host live music and create specialty brews. Pumpkin picking, running through the corn maze, and hay rides! 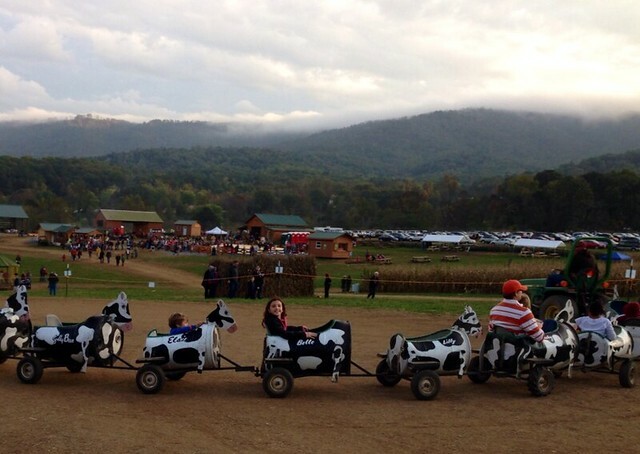 The Layman Family Farms Fall Festival has become an annual autumn tradition for both locals and visitors as the perfect way to celebrate many of our favorite parts of fall. Can you solve the crime at this 50’s-themed murder mystery event? The Sock Hops & Rock n’ Roll will present an afternoon of mystery and attendees are invited to dress for the era with their favorite sock-hop attire. Boz Scaggs has been on the music scene for over 60 years with his singing, songwriting, and guitar playing. His album Silk Degrees reached No. 2 in the Billboard 200 in the 1970s and the album produced two of his most popular singles - "Lowdown" & "Lido Shuffle." Prepare for a silly, spooky adventure in this play based on the popular Goosebumps book series by R.L. Stein. Brooke and Zeke will try to uncover the mystery of whether someone is playing a joke on them or if the theatre where they’re performing the school musical is actually cursed. Get your friends together for a night of partying in the park at the Vinton Farmers Market in the Town of Vinton! Live music will be performed by Fuzzy Logic, a local band that presents funk, country, rock, dance and other timeless hits. Be mesmerized by the art of the tango with this performance by Tango Buenos Aires. The Argentina-based group performs around the world and features the finest tango dancers who present many tango classics. Get your tickets now for one of Smith Mountain Lake’s most popular annual events as the Wine Festival returns for its 29th year! There will be 29 Virginia wineries participating in this year’s festival, in addition to 85 juried craft and food vendors. You also have the option to purchase VIP Lounge tickets and reserve private chalets! The Peaks of Otter Winery & Orchards is celebrating its 21st anniversary with a party that includes music by Long Strange Night - a Grateful Dead tribute band. The event will take place on the beautiful farm property and offer options for camping for a full night of relaxing fun. It’s a free movie night at the Daleville Town Center as Bank of Botetourt presents La La Land for Movies on the Green. There will be activities available for kids not interested in the singing and dancing of Ryan Gosling and Emma Stone, as well as snacks (including popcorn) available for purchase. The season may be over for the Salem Red Sox, but that doesn’t stop them from offering fun activities for visitors in Virginia’s Blue Ridge! On September 23, the Red Sox host the Fall Festival and welcome guests with a petting zoo, food trucks, face painting, inflatables, live music and more. Everyone in the family will love participating in the Grape Stomping Festival at Beliveau Estate Winery. The event is back for its fifth year and will include local vendors, live music, food and the main event - stomping on grapes! Admission is free but stomping tickets are available for purchase. Find inspiration for your next outdoor adventure at the Banff Mountain Film Festival & Get Outside Expo! Roanoke is part of the world tour for this film festival that showcases jaw-dropping films of many of the most extreme outdoor scenes and experiences from around the world. You can also connect with local outdoor resources and organizations at the expo. Are you ready to be terrified at The Meek’s Manor Haunted House? Make your way through 18 horrifying rooms and the attic that will make you feel like you’re living out something from a horror movie. Big Lick Entertainment and Feeding America Southwest Virginia present a Food Truck Fest at the Vinton Farmers Market. Spend an evening dining on food from local food trucks, listening to live music on the market stage, and relaxing while the kids enjoy various activities and games. It’s the debut of the popular annual Pop Series for the Roanoke Symphony Orchestra as the group presents works inspired by Motown and Ray Charles at this concert at the Salem Civic Center. The Symphony will be joined by Ellis Hall, a decorated multi-instrumentalist and vocalist known for his soulful R&B music. If you’re unfamiliar with cyclocross racing, the Deschutes Brewery Go Cross Cyclocross Race is the perfect chance to get acquainted with this fast-paced, entertaining sport! Professional cyclists from around the country will make their way to Virginia’s Blue Ridge to compete on the Fallon Park Cyclocross Course for two days of exciting rides and rowdy crowds are highly encouraged. Sample the bounty of fall at the Historic Roanoke City Market’s Harvest Festival. Local vendors will offer a rich variety of fall produce such as pumpkins, squash, apples, and corn, plus there will be a variety of other fall-inspired decorations and activities. Visit the farm animals, get lost in the corn maze, take a tractor ride, and fill your shopping basket with lots of local products at the Jeter Farm Fall Festival & Country Store. You can also munch on fresh-made kettle corn, apple cider, and pick out the perfect pumpkins for your carving competition. It’s hard to believe, but there’s even more on the calendar than what’s listed here. Visit our Events Calendar for a complete list of upcoming events. 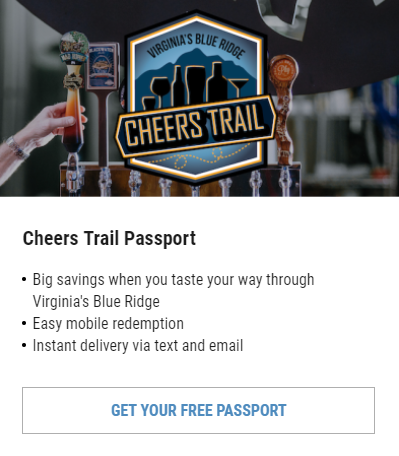 You can also keep up with what’s happening in Virginia’s Blue Ridge by signing up to receive our monthly e-newsletter and by following us on our various social media platforms. 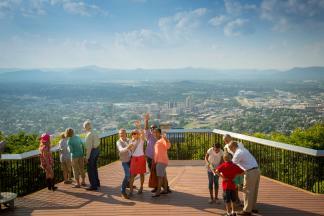 David is the Digital Marketing Manager for Visit Virginia's Blue Ridge. When he's not working, you can probably find David on an adventure with his wife, Nicole, trying a new restaurant, on an airplane, binge-watching a show, or hanging out at the dog park with Abbey, his rockstar pet corgi. Have an idea for a blog post or a tip? Send David an e-mail. Have new blog posts delivered directly to your e-mail inbox!